Originally published at Michael M. Jones Says..... You can comment here or there. 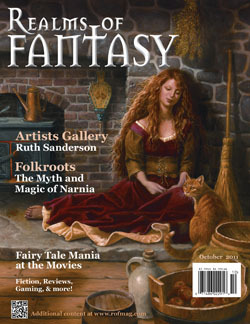 The October issue of Realms of Fantasy has arrived, and that means it’s time for another update. So go forth, read, share, forward to your friends, enjoy some nice homemade apple butter, whatever. I welcome comments, compliments, contrasting opinions, and more.